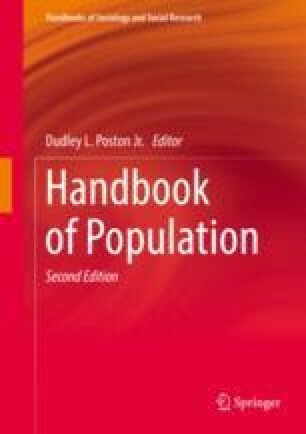 In this chapter, internal migration is examined as one event among several demographic phenomena that can result in shifts in population distribution across space. Migration operates as a dynamic demographic process that is highly responsive to social and economic conditions at multiple geographic scales. This chapter reviews contemporary research regarding internal migration in both more and less developed countries, with particular attention to policy concerns. The chapter includes a presentation of theories related to migration as influenced by multiple disciplines. Methods, measurement, and data are discussed, followed by a synoptic review of empirical findings. The chapter content reflects features of the migration landscape that have grown in recent years, such as environmental migration, the movements of refugees and displaced persons, and the roles of socio-geographic context and gender. The chapter offers a concluding section that considers new research directions in the field. Franklin, R and E. Seymour. (2018). Landscapes of Loss. Website. https://s4.ad.brown.edu/LandscapeOfLoss/website/index.html.Accessed 28 June 2018. Frey, W.H. (2017) Census Shows a Revival of Pre-Recession Migration Flows. Brooking Institution https://www.brookings.edu/blog/the-avenue/2017/03/30/census-shows-a-revival-of-pre-recession-migration-flows. Accessed 28 June 2018.